In the pre-dawn hours of Friday, September 1, 1939, Adolph Hitler’s forces invaded Poland and suddenly the ominous war rumblings from Germany became real as World War Two was underway in Europe. A half a world away, the United States had yet to engage in the battle, but major retailers gearing up for Christmas were soon to begin fighting a battle of their own. Here begins the story of how a World War, creative engineering and fast-thinking by business leaders helped Wellsboro, Pennsylvania, become known as “The Town That Saved Christmas” and Corning Glass to become America’s leading glass Christmas ornament supplier. The war-time British blockade of imported goods from Europe included German manufactured glass Christmas ornaments popular in the United States. German immigrant and ornament factory owner Max Eckardt, from his offices in New York City, was directing U.S. sales and distribution of his German-made ornaments, supplying all F.W. Woolworth stores and others. With Christmas coming and the British blockade firmly in place, Eckardt was concerned as to how he could ever meet the expected U.S. demand for more than 250 million ornaments. Wellsboro’s Corning glass plant, located in the Pine Creek Valley & PA Grand Canyon Landscape of the PA Wilds and fewer than 50 miles from Corning’s headquarters, was assigned the job of retrofitting its glass bulb operations to manufacture Eckardt’s Shiny Brites. This was a perfect fit because the Wellsboro plant had high-speed-ribbon machine technology that could be converted to mass-produce ornament bulbs. It was also a war-time coup for Eckardt in several ways. Not only did he have a United States manufacturing base for his ornaments, but during war-time, he could boast that they were “Made in America.” He took it a step further by designing Shiny Brite ornament boxes with a likeness of Santa Claus shaking hands with Uncle Sam. In Wellsboro’s Penn Wells Hotel and Lodge lobby there is an American flag created from the Shiny Brite Christmas bulbs that was gifted to the Penn Wells by the Corning Corporation. 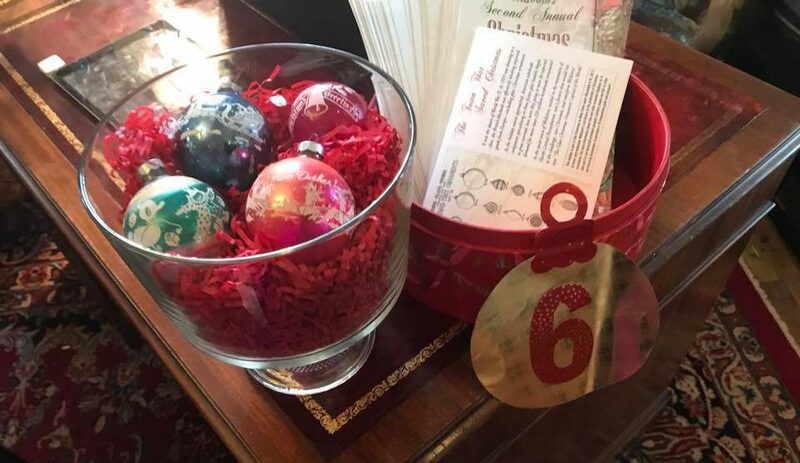 “Featuring the Shiny Brite ornaments grew out of the planning for our second Christmas on Main Street weekend,” said Shawn Bryant of the Penn Wells Hotel and Lodge. “Bringing out those ornaments and our pride in the local craftsmanship seemed a natural way to preserve and display a piece of this community’s heritage. 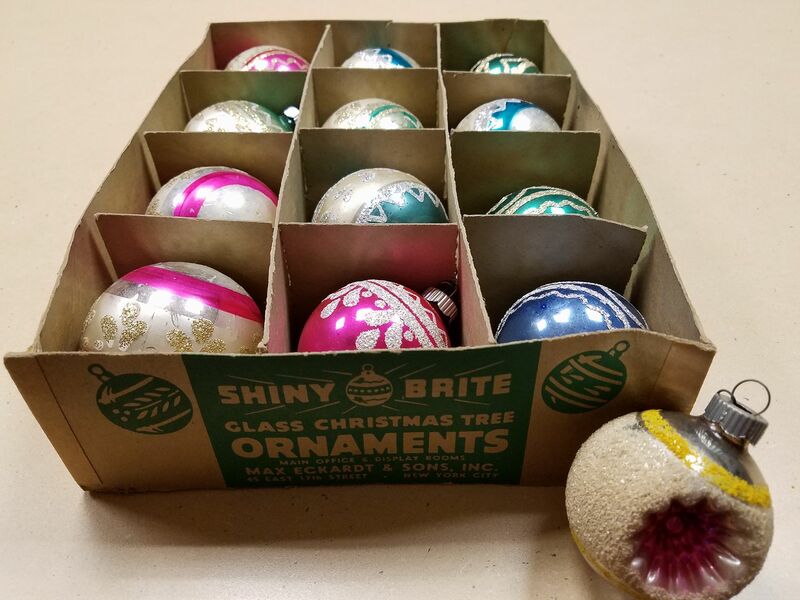 Last year we collected and displayed a number of the ornaments and provided the story behind them and we are in the process now of preserving the stories of the actual craftspeople who made that history,” said Shawn. This rich history is celebrated fittingly in Wellsboro in December with two major events on back-to-back weekends: Dickens of a Christmas and Christmas on Main Street. The first full weekend of December (Friday, November 30 – Sunday, December 2) kicks off the 35th annual Dickens of a Christmas festival, sponsored by the Wellsboro Area Chamber of Commerce, which brings more than 20,000 people to Wellsboro for a weekend to rekindle the old-fashioned Christmas spirit. Wellsboro’s Main Street becomes an early Victorian marketplace featuring all types of food and drink, as well as great gift items. Julie said the Chamber does everything from street closures to locating vendors. “But what makes the Dickens event spectacular is what we don’t do, such as the entertainment, street performances, quartets, choirs, characters, and so much more, which are the result of community members coming together in the spirit of the event, doing what they love, and they truly are the ones who make Dickens of a Christmas special,” explained Julie. The Holiday happenings continue the following weekend of December 7th – 9th as “The Town that Saved Christmas” celebrates “Christmas on Main Street,” where those famous Shiny Brite displays are featured in businesses all around town. There are 24 displays of the historic Wellsboro-made ornaments from the early 1940s, as well as holiday shopping, live music, demonstrations and other events throughout the weekend. 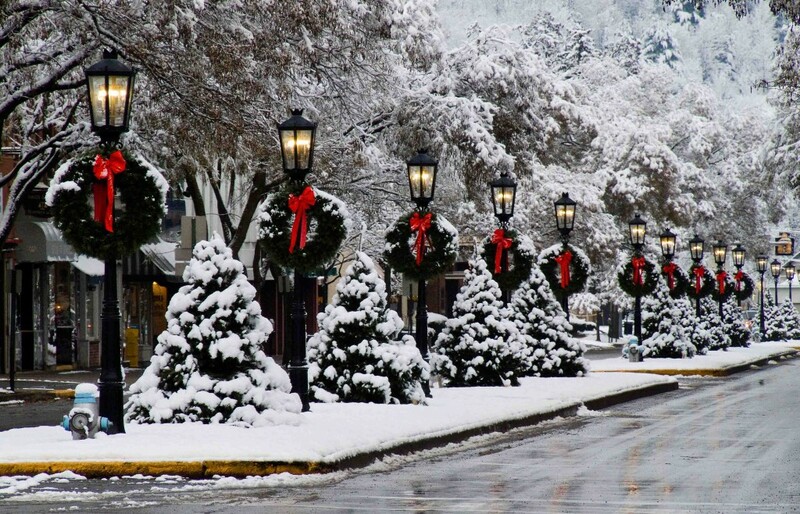 Billed as “a weekend of activities to warm your heart and fill you with Christmas spirit,” you can stroll along Wellsboro’s gas lit Main Street, ride the Trolley and enjoy the picturesque town. I lived in Middlebury and Wellsboro for 15 years. Thanks for reminding me about Corning being in Wellsboro. Still love it there. Glad you liked the story, Cathy! Nice story. And of course we still have a few “shiny brights” among our ornaments from decades ago – my childhood. I have a picture that looks JUST like the one in the Facebook post that I took in January 2011 when my husband and I were there. It really is a great photo! Special thanks goes to the Wellsboro Area Chamber of Commerce for providing the featured image for this article.